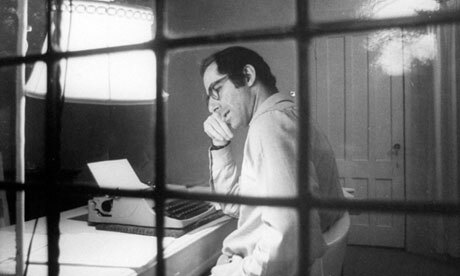 Philip Roth has been making headlines recently by refusing to publish anything new (he has officially retired from writing.) But I couldn’t really add my voice to the chorus of voices that are reacting to that news, because I’d never really read the man. That is, until I picked up Nemesis a couple of weeks ago. So, what is my impression of Roth? But I was wholly drawn into this story of a young playground director who finds himself battling the scourge of polio at home, while his best friends fight on the front lines of World War II. What with the baseball backdrop, the overhanging shadow of war, and a New York-area Jewish youth wrestling with religious themes, the book felt like a fitting companion to Chaim Potok’s The Chosen , a book I absolutely loved. (Mr. Cantor? Mr. Galanter? Eh? Eh?) But unlike The Chosen , which ends up affirming religious faith, Nemesis is the account of faith lost. The book’s title is never really explained, but since the story unravels like a classic Greek tragedy, we can only assume that “Nemesis” signifies the Greek goddess of vengeful retribution, come in the form of the Polio virus. I’ve spoiled enough of the story as it is, but I’ll just say that Roth breathed enough life into the time period and setting to make me want to check out some of his other work. You should, too. I've read "The Dying Animal" and "The Human Stain" and this is what I'll say about Roth: He makes for some difficult but rewarding reading. Nemesis was a breaze to read, if you don't mind watching someone's soul get crushed.